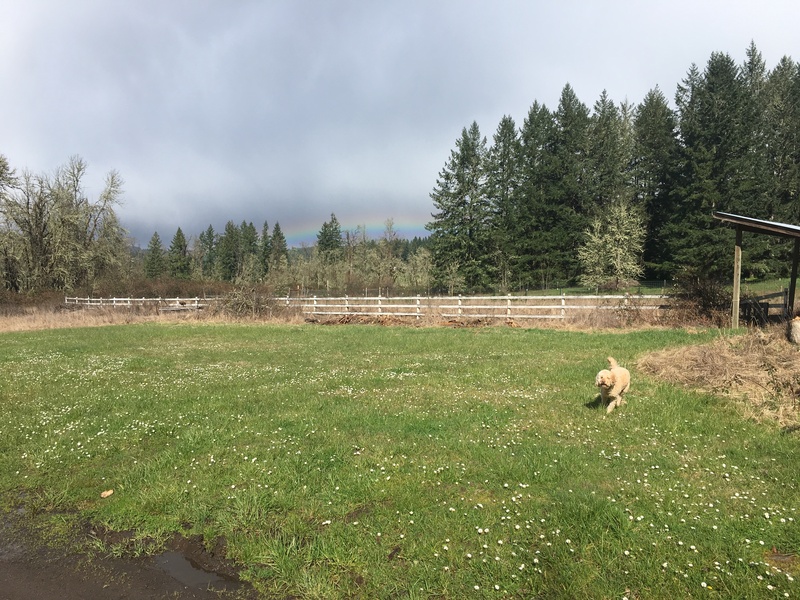 Seeking experienced organic farmers to grow vegetables, flowers, mushrooms, pasture chickens, sheep and goat ( fiber, dairy, meat) on beautiful land just 10 minutes outside of Eugene! We are a small community of family and friends who share a house, barn, shop, “earth gym”, wood-fired sauna, and gorgeous sanctuary/dance space. We wish to invite in a few competent, enthusiastic, hard-working people to enjoy the land with us. Housing is available, and children are welcome. To share in a cooperative, co-creative culture of small-scale sustainable food and fiber production and supportive, fun, community living. To improve the soil, create permaculture systems, and use the land in a regenerative, respectful, and harmonious way to support the people and animals who live here. Small vegetable gardens, and as a home for our family. We have two wells, but the water flow is somewhat low. We have a great opportunity for water catchment from roof rainwater, for someone who is excited to set up systems.